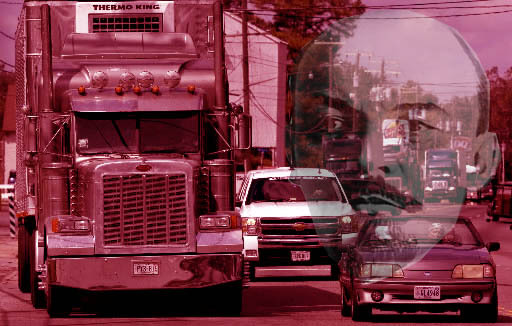 Read the Richmond BizSense article here first. Though I am saddened to see an entrepreneur struggle and a business in the urban core close, attributing Boom Boom’s demise to Shockoe Bottom nightlife is overly simplistic. There are several excellent restaurants with sophisticated menus in the immediate area that seem to be surviving, if not thriving, including Cafe Gutenberg, Lulu’s, Aziza’s, Sette and Millie’s. Although Boom Boom had an intriguing storyline of redefining burgers with grass-fed beef from a Polyface Farms, a rockstar in local foods, I think there were too many aspects that were not thought through. For one thing, the location was challenging. It is a common mistake to miss the subtle disadvantages of particular sites. All of the restaurants listed above are on Main Street or 17th Street, part of the continuity of the commercial life of the Bottom. Boom Boom chose to locate around the corner on Franklin – a location that is one significant degree away from the action and in a highly competitive market, a potentially fatal flaw. Another challenge was the menu. Boom Boom chose to have a singular focus that I believe was too narrow. Although redefining burgers with local foods is a worthy goal, what about vegetarians? In my experience, a group of people in the one of target markets (young professionals that care about things like local foods) will inevitably contain at least one vegetarian. Also, burgers with no fries? In know redefinition was the goal, but come on. Finally, I think the price point was fatal. I talked to multiple people who tried Boom Boom and the consensus was that the burger was too small and the price too high. Given the choice, the perceived value was much higher at any of the other restaurants targeting sophisticated palates. Plus Boom Boom refused to accept cash, an inconvenience that was unnecessary. I truly hope the entrepreneurial spirit stays alive for the owners of Boom Boom and that the lessons learned will contribute to a formula for success. However, I would suggest the owners be a bit more contemplative before drawing superficial conclusions about the circumstances of Boom Boom’s demise. Apparently, a recent court ruling has significantly reduced the effectiveness of rehabilitation tax credits to provide financing for the renovation of historic buildings. Basically, the court ruled that Virginia’s state tax credits were taxable income for partner-investors in a tax credit deal. This is significant because the partnership route is the usual manner that tax credit projects are financed. The link below takes you to a DHR document that explains the problem in detail, but in short, over 40% of the potential equity from the state tax credits are lost to income tax liability. According to the DHR and others interviewed, this will have a devastating effect on the tax credit market and the feasibility of historic rehabilitation projects. Follow the link to read more. Richmond council backs 2 scenarios for City Stadium studies: "The Richmond City Council is so interested in looking at the future of City Stadium that it's backing two scenarios for studies." 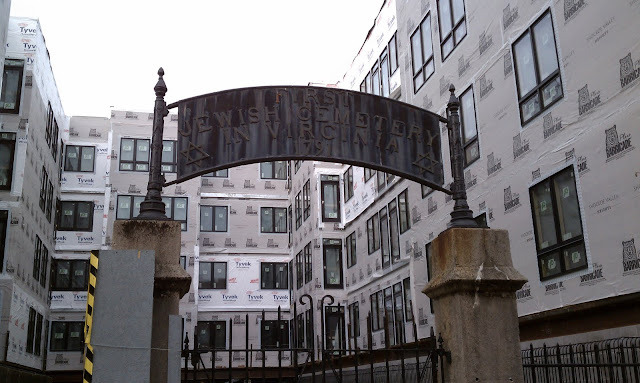 Near our office in Shockoe Bottom is the "First Jewish Cemetery in Virginia," also known as the Franklin Street Burial Grounds. I had grown accustomed to seeing the somewhat enigmatic concrete walled enclosure, surrounded by an empty lot used for parking. Suddenly, the cemetery became surrounded on three sides by a five story apartment building, completely changing the presence of the place. Granted, the cemetery has a decidedly neglected air and apparently has suffered from that condition for many years, interrupted by sporadic consecration and re-consecration ceremonies. This led me to consider how the living and the dead may coexist within urban environments, the former being dynamic forces for change and the latter being, well, static. I confess that my first reaction to the cemetery's engulfment was to recoil from what I perceived to be a lack of respect for sacred ground. However, after reflection, the mere close coexistence of housing for the living and dead may, in fact, be an expected condition for an urban environment. Perhaps there is even value to have the legacy of memory at close hand. 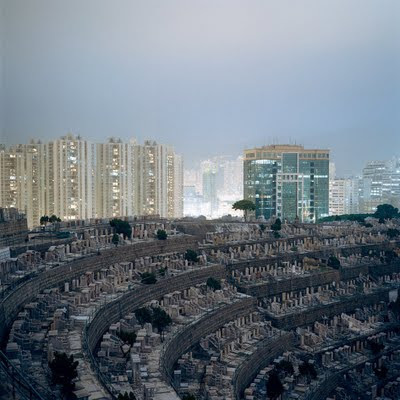 I was reminded of the cemeteries of Hong Kong, where the price of real estate is among the highest in the world. These places of burial and remembrance match the urban intensity of their neighboring structures for the living. The grave sites are frequently built with permanent facilities for picnics - tables and benches - where family members may share a meal of ritual memory. It is probably fair to say that in today's American culture, the rituals of remembrance are largely fleeting and singular in nature. My personal experience with funerals has been marked by the singular ceremony, followed by the internment of the body in a pastoral setting, never to be visited again - a ceremony for forgetting. Is this how it should be? Perhaps ready access to real places of memory, inhabited by the concrete reminders of our personal past, is a healthy part of living. Perhaps I should spend more time in cemeteries and, where it is possible, visit the markers of my own family's history. So, I find myself growing philosophical about the cohabitation of the living and the dead at the Franklin Street Burial Ground. Perhaps there is value in having one's bedroom window look upon a piece of enigmatic history. P.s. Somewhere in this train of thought is a city from Italo Calvino.